It is The Far Edges of the Fourth Genre Week here on the Brevity blog. Earlier this week we posted an interview with one of the anthology’s editors, Sean Prentiss, and an excerpted chapter of the book from John Rovner. Today, in our final installment, a follow-up interview with Sean’s co-editor Joe Wilkins, conducted by Steve Coughlin. What are the limitations of a craft book? JW: A craft book is by adjectival definition a book that explores a particular craft. We’re lucky in the creative writing world in that our craft is the very medium of which most books get built, so our craft books—I’m thinking here of some of my favorites: The Writing Life, The Situation and the Story, Burning Down the House—both explain and model; we get to hear about and hear how we might craft a deeper, more powerful piece of writing. All this is to say, I don’t think there are many limitations on creative writing craft books. The books I mentioned above contain chapters and sections that read like personal narratives or lyric investigations and chapters and sections that much more explicitly outline how to (or how not to) go about the craft of writing. With The Far Edges of the Fourth Genre, we’ve tried to honor that tradition by gathering essays that are coming at craft from all different directions. Some, like Kim Barnes’s “The Art and Absence of Reflection in Nonfiction: What is the Why?,” are more proscriptive. Others, like Lia Purpura’s “Advice” and “On Writing ‘Advice’,” dodge and feint, attempting to spin the reader’s usual notions of craft around. I am fascinated by the technique in nonfiction of the composite character. At what point does the combining of characters and the framing of narrative push an essay into the genre of fiction? JW: For me, it all depends on the story. Does the frame fit the story? Does it allow the story to truly become itself? The same kinds of questions apply, I think, for composite characters or time compression or many of the other “controversial” techniques in creative nonfiction. Ander Monson, Bob Shacochis, Nancer Ballard, H. Lee Barnes, Erik Reece, and other writers included in The Far Edges speak not exactly to but through these questions, helping us as writers fixate not on the controversy but on the fundamental reasons—from nonfiction as translation to nonfiction as a unique space of literary witness—we might choose to write true stories the way we do. As nonfiction continues to experience more innovation, do you have any concerns or reservations of form taking precedent over content? JW: I don’t mean to be glib, but I’ll just say, nope. Think about a sonnet or an epistolary novel: the form doesn’t take precedence over or constrict—it allows. Though as creative nonfiction writers we do have the obligation to toe the line of truth as best we can (though I’d argue that obligation, too, is a kind of form that allows rather than constricts), I think the vast and varied forms we’re seeing in contemporary memoirs and essays are fascinating and exciting—and, very often, true. What obligations do writers have in acknowledging verifiable truth versus what is often referred to as personal truth? JW: Okay, this is my assignment answer: go read Robin Hemley’s “Lines That Create Motion,” Sean Prentiss’s “Eternal Sunshine of the Nonfiction Mind: A New Philosophy for Understanding Truth and Creative Nonfiction,” and Judith Kitchen’s “Gone A-Sailing: A Voyage to the Edge of Nonfiction (in which I Follow My Own Exercise for Writing about a Photograph),” all of which are included in The Far Edges, and report back to me. What excites you most about the future of nonfiction? JW: Last semester, in my literary nonfiction class, one of my students wrote a smart, challenging, heartbreaking essay partially built around standardized test questions she’d invented. My student is of Native Hawaiian and white ancestry, and with her essay she really got a hold of so many powerful questions: Who am I? Who are my people? Where do I belong? That essay excited me, as did so many others I read in that class, as have many of the memoirs and essays I’ve read in the past year. Nonfiction is simply at an exciting moment in its history. All kinds of powerful stories are being told in all kinds of striking ways. Joe Wilkins is the author of a memoir, The Mountain and the Fathers: Growing up on the Big Dry, winner of the 2014 GLCA New Writers Award and a finalist for the 2013 Orion Book Award, and two collections of poems, Notes from the Journey Westward and Killing the Murnion Dogs. 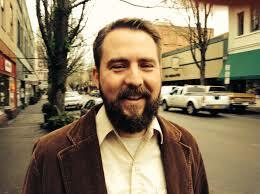 He lives with his his wife, son, and daughter in western Oregon, where he teaches writing at Linfield College. 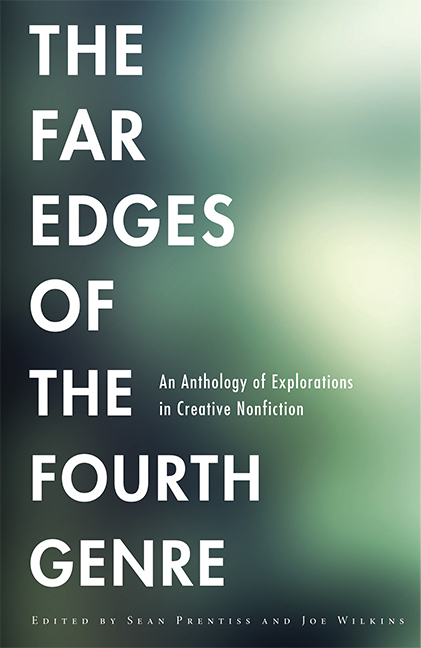 You are currently reading The Far Edges: Interview with Joe Wilkins at BREVITY's Nonfiction Blog.